Commercial buildings in the U.S. waste 30% of the energy they consume, according to the U.S. Department of Energy. Helping them cut down that waste — through the use of technology and big data — is the goal of Enertiv, a building energy efficiency technology company that provides energy monitoring systems software as well as installation and implementation services. It’s all aimed at helping consumers, businesses and buildings monitor, and better control, their energy consumption. The Enertiv hardware collects data via sensors at the circuit level, rather than the building meter, which provides detailed information on energy use as well as personalized recommendations for savings. 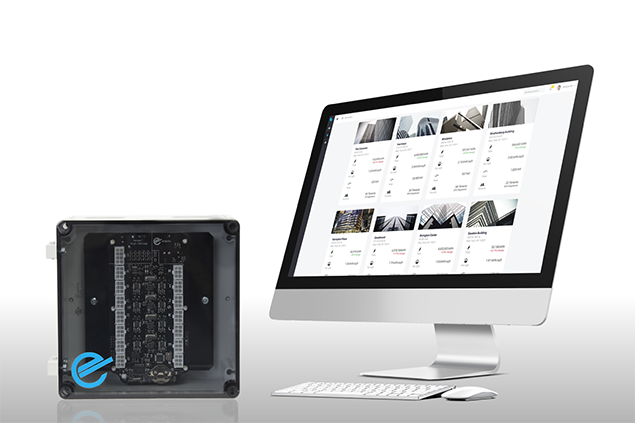 The software platform, meanwhile, allows building owners to see the performance of an entire portfolio of buildings, down to an individual piece of equipment. Enertiv is one of the few fully integrated, turn-key energy data and analytics solutions in the marketplace today, says CEO Connell McGill. The company designs and manufactures their meters, develops the energy data and analytics platform, and provides installation services. Enertiv manages the entire process from the initial building survey, to releasing access to the platform to their clients for the first time, they also provide ongoing energy management as a service on top of the data being collected. The company says it’s helped its clients save up to 40%, with 12% on average, and paybacks typically under two years. Enertiv recently launched a new program called VendorMatch. When energy conservation measures (ECMs) like lighting retrofits, or HVAC optimizations are detected in the platform, Enertiv will match their clients with a handful of vendors in their partnership network with expertise in that particular ECM opportunity. Enertiv then shares the project revenue with their partners, delivering further energy waste reduction to their clients. The company has installed almost 1,000 systems at 100 different locations in the U.S. and has international distribution partners in Europe and Asia. It has a client roster that includes Capital One, Staples, Vice Media, Mario Batali’s Eataly, NYU, Albanese Organization, Ohio State University, Equinox Fitness, Stamford YMCA, and New Haven and Stamford Public Schools. Its also working on pilots with major utilities like Con Edison and New York Power Authority. Enertiv continues acquiring clients through partnerships with value-add retailers, management companies, and energy services companies that gives the company access to large portfolios of buildings looking to make energy efficiency upgrades. New York-based Enertiv has 20 employees and graduated from the RGA Connected Devices accelerator program 2014. The company received $1.2 million in seed funding last September and has raised $1.9 million overall. Lead investors include R/GA Ventures and Vaidya Capital Partners, with participation by several angel investors including Mike Smith, founder of StreetEasy, Naveen Selvadurai, co-founder of Foursquare and Jerry Kestenbaum, president of BuildingLink. The company tells CleanTechIQ that it is in the process of opening up a Series A venture funding round and is in discussions with several top corporate investors and venture capitalists. Felix Lipov is the Lead Software Engineer of Enertiv, and he wrote this Op-Ed piece. As we look to make our buildings and energy consumption more sustainable, it is clear that effective conservation is a key component. But conservation doesn’t have to have a negative impact on a tenant’s comfort. The goal should be simply to influence tenants to waste less and to take a greater consideration of the costs, both financial and environmental, when using energy. To achieve that, though, data is needed. And not just any data, but timely, real-time data — data that can tie into daily actions and motivate change far better than a punishment-based approach. With more and better information, the way a building’s energy usage is managed can be dramatically improved. The data coming from a meter can be put to better use. Measurement and verification can drive financing and retrofits to save money and energy in the long-term. Unfortunately, when it comes to energy data, the quality of the information is typically poor and oftentimes is received too late to be effective. All too often, energy consumption information is purely a function of billing and in turn is treated as a fixed cost that cannot be controlled or managed except with expensive systems that can automate one’s use of power. Billing information that a utility provides serves a diverse set of interests, though unfortunately those interests do not generally include that of the tenant and their desire to manage their energy use. Utilities make more money by selling more power. Obfuscation is only one means whereby monopolies are able to avoid empowering the actual consumers of energy. If occupants can receive real-time energy usage data, they can finally understand how their actions tie back to their bills. 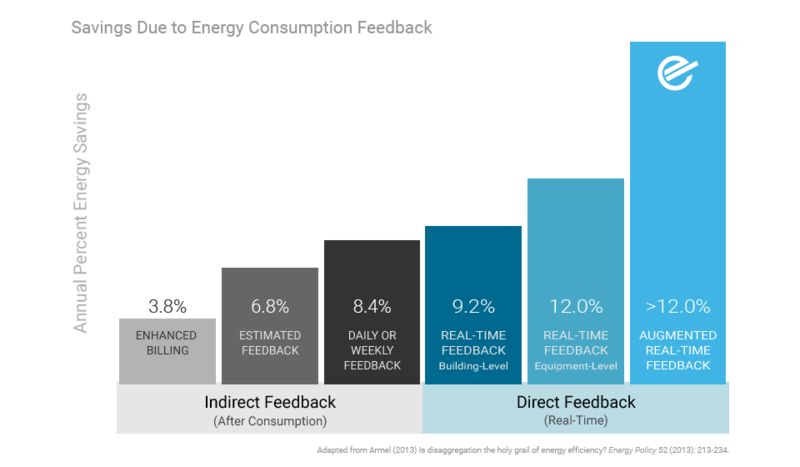 Indeed, companies like Opower, as well as numerous research efforts, have demonstrated that enhanced customer billing and feedback can influence energy savings. (link to ) Until now, real-time data has been hard to impossible to come by. But this, thankfully, is changing. Using high-density meter technology, such as the kind that Enertiv offers, it is possible to submeter up to 14 tenants, which previously required individual meters. In commercial spaces, it is now possible to empower tenants to see their energy use in real-time; more importantly, they can now see how they compare to their peers and how they can improve. Given that a large and growing portion of energy use comes from plug loads, it is all the more important to educate people about the cost of every device. All this data can drive change. Beyond all that, having information on energy consumption also powers the decision-making behind capital investments. Understanding the benefits of a particular project requires the ability to evaluate returns on investment and seeing changes, both before and after implementation, to serve measure and verification. With data to back up a project, financing options can open up. Effective commissioning solutions like Enertiv are a powerful alternative to a spreadsheet model or typical spot metering solutions. Rather than gathering just a few points of data for two weeks, solutions like the EnertivEMS and the Enertiv E2 allow for data gathering over extended periods of time to consider pre- and post- installation results. Such systems also give insight into whether there are additional anomalies or opportunities for savings through operational improvements. Building operators ultimately don’t benefit from more information; they benefit from better and more timely information. Economical retrofit solutions such as Enertiv’s allow a building to see what is happening as it happens, by leveraging near ubiquitous connectivity, whether through wired solutions or wireless. The expansion of energy efficiency to reach new levels of energy savings in commercial buildings, and to unlock economic and environmental benefits, will require a new way of thinking about project measurement and verification. Given the economics of monitoring, there is little excuse not to have information to drive the costs of running a building down, making it more valuable in the long-run. In addition now it is possible to gain LEED points, such as through the LEED v4 Advanced Energy Metering Credit, by applying monitoring. By making energy data appealing though visualization and actionable analytics, the meaning of energy conservation and its potential is changing — and it’s changing in a good way.